Social Story: Playing What Time is it, Mr. Wolf? 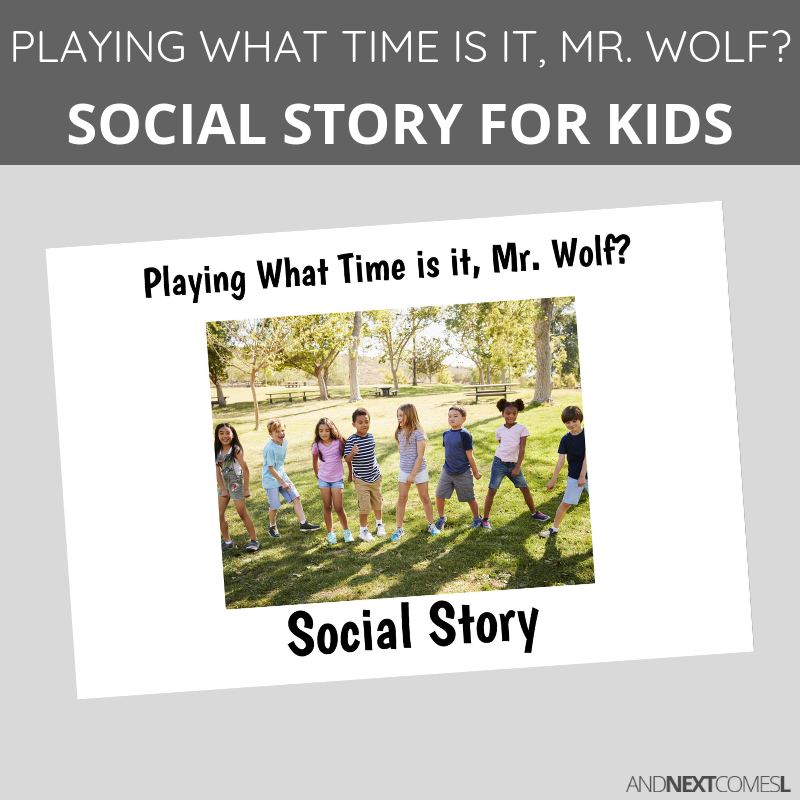 A printable social story for kids about how to play What Time is it, Mr. Wolf? This 16 page social story teaches kids about how to play the childhood game What Time is it, Mr. Wolf? What to do when the "wolf" says, "Lunch time." What happens if you get tagged by the "wolf"
What to do when you are the "wolf"
What happens if no one gets tagged by the "wolf"